DEAR MAYO CLINIC: I have hypothyroidism and take medication for it. When researching online, I read that I should avoid kale and spinach. Is this true? I enjoy a kale or spinach smoothie almost daily and don’t want to give that up. Are there other foods I should avoid because of hypothyroidism? ANSWER: Although you may find many claims about foods you should and shouldn’t eat to ensure thyroid health, in general there are no specific foods you must avoid if you have hypothyroidism — including kale and spinach. Eating a healthy, balanced diet and carefully taking your medication as prescribed by your health care provider will go a long way toward effectively managing hypothyroidism. When your thyroid doesn’t make enough T3 and T4, the result is hypothyroidism. 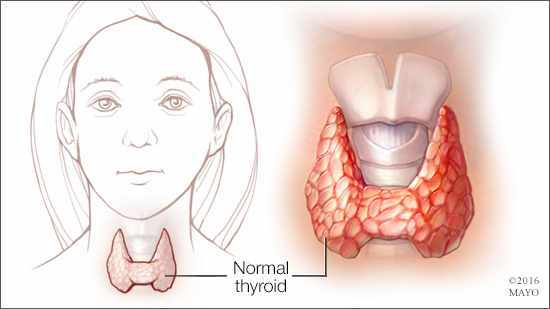 In most cases, hypothyroidism can be treated safely and effectively with the synthetic thyroid hormone levothyroxine, which replaces your body’s natural T3 and T4. Concern surrounding the impact of spinach, kale and other similar vegetables — including broccoli, broccoli rabe, turnips, Brussels sprouts, Chinese cabbage and cauliflower — on thyroid health is due to the effect they can have on the thyroid’s ability to absorb iodine. Having enough iodine in your diet is crucial for thyroid health because your thyroid gland needs iodine to make T3 and T4. It’s true that eating a lot of these vegetables could limit your thyroid’s uptake of iodine. The amount you would need to eat to have that effect, however, is very large — much larger than most people would ever normally eat and certainly far more than would be included in a daily smoothie. In addition, the effect of these vegetables is on the thyroid gland itself. That means for someone like you whose thyroid gland isn’t working properly, and who is taking thyroid hormone replacement medication, even if you ate these vegetables in large amounts, there wouldn’t be any impact on the amount of thyroid hormone in your body. It is worthwhile to note, though, some foods, dietary supplements and medications may interfere with your body’s ability to process thyroid hormone replacement. For example, it can be hard for your body to absorb the medication if you take your tablets with meals that are high in fiber. To help ensure that your body absorbs the medication properly, follow your health care provider’s directions on how to take it — typically on an empty stomach. Also, to avoid problems with absorption, don’t take your thyroid hormone medication with foods that contain walnuts, soybean flour or cottonseed meal. Don’t take it at the same time as you take an iron supplement or a multivitamin that contains iron. It’s also important to avoid taking it with calcium supplements or antacids that contain aluminum or magnesium. Some ulcer medications and some cholesterol-lowering drugs also can interfere with thyroid hormone replacement. To avoid potential problems, eat these foods or use these products several hours before or after you take your thyroid medication.